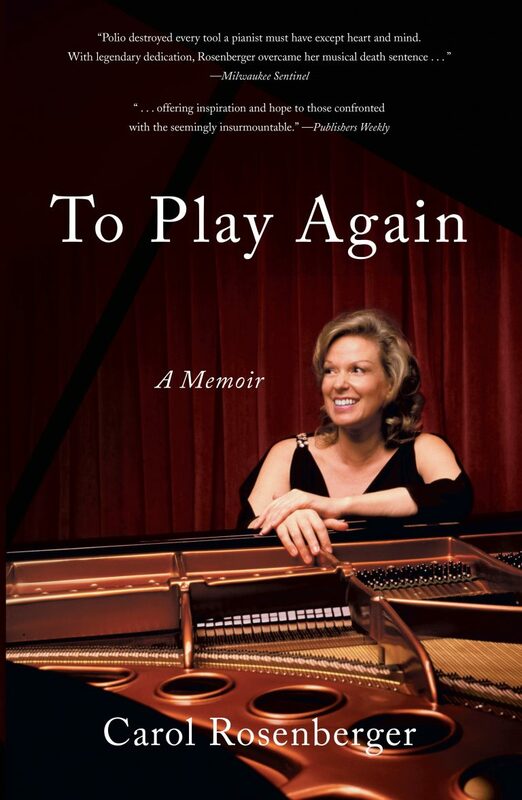 To Play Again is a story for us all! | Delos Music | Outstanding Classical Recordings for over 40 Years! To Play Again is a story for us all! “To Play Again, is Carol Rosenberger’s gift to us all, as the alchemy between content and the subjective experience of reading her story lives on long after the ending. Her journey compels us to once again believe in the impossible simply because we must. Reading her story is life-giving, but along with her book, you must also listen to her music! Her passionate piano playing soothes the imagination, but also reminds us of how fragile life can be – yet somehow we can endure. … It’s no surprise that the Independent Publisher Book Awards for 2018 (IPPY Awards), who honor the year’s best independently published titles from around the world, found her memoir to be a most deserving winner. Brava Carol!